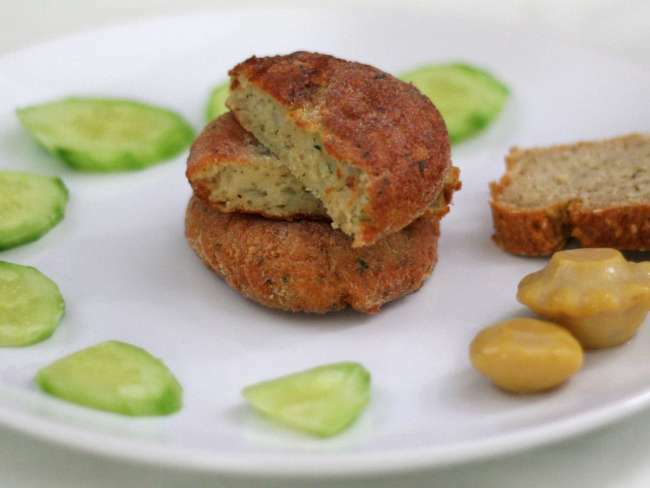 Easy, light and tasty fried rissoles from cod fish. Instead of cod fish you can use fillet from some other fish as well. Liquidize cod fish fillet with parsley stem. 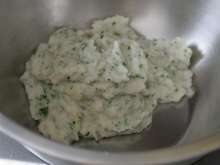 Mix to combine liquidized cod fish, eggs, flour, mashed garlic and finely chopped onion. Season with salt, white and black pepper. 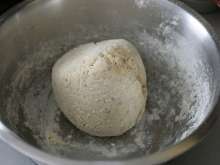 Add breadcrumbs, until the dough is shapable. 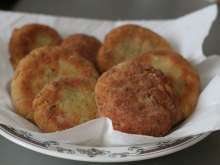 Take pieces of dough and using hands shape into rissoles. 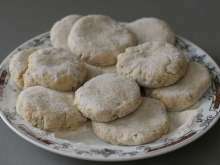 Use breadcrumbs or flour to prevent the dough from sticking. Heat approximately half centimeter thick layer of oil in the pan. 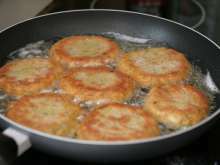 Carefully add rissoles and fry on both sides until crispy. After frying, transfer the rissoles to a paper napkin to soak the oil from the surface.